Hi! I'm Kellie, designer behind Pickle Toes Patterns. 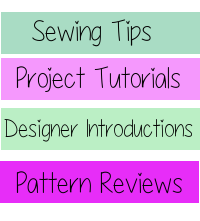 For this designer challenge, I have been hard at work with 3 new patterns releasing this week and next week. 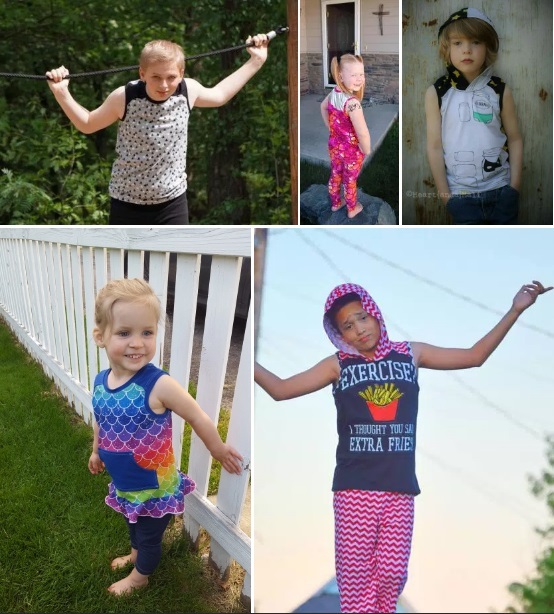 The Safari Tank, releasing tomorrow, The Pickled Peppers Tank releasing Tuesday, and the Snail Hunter Shorts releasing next Thursday are perfect additions to your child's summer wardrobe. 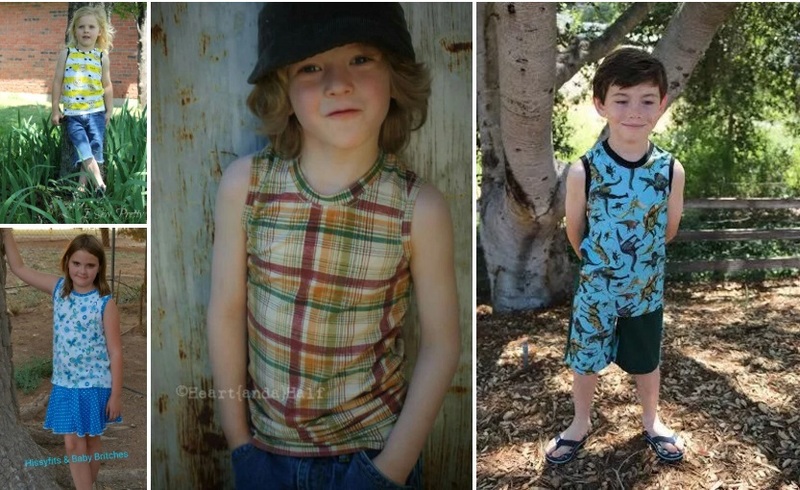 The Safari Tank is a basic tank for boys or girls in size 2-16. It has the option of being shirt or tunic length, hemmed or finished with a band, and slim or regular fit. It's a super fast sew and perfect for the hot months ahead. This fun tank releases tomorrow. The Pickled Peppers Tank has fun color blocking elements on the front and back and plenty of options. There are 3 hem styles, hood option, pocket option, 2 lengths and the best....color blocking! 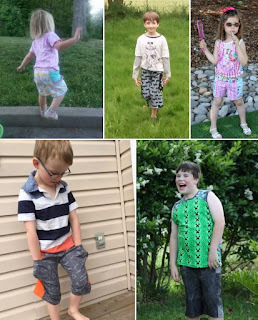 Some of my testers even used woven on the color blocking for a great way to coordinate with the Snail Hunter shorts. This fun tank releases Tuesday, 5/24. And finally, the Snail Hunter shorts! They have so much to offer! 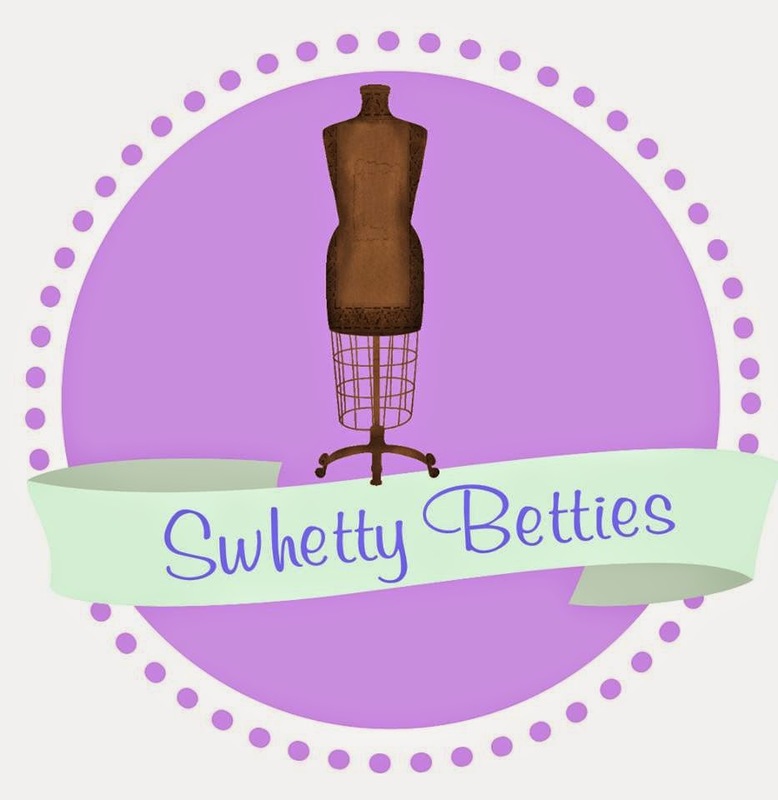 The ability to use woven or knit, yoga waist or elastic waist in 2 styles, with pockets or without, ruffles on pockets for a girly touch, 4 lengths, and of course, color blocking. The pockets are quite roomy for storing lots of snails, or even an X-Box controller! This pattern has so many options that I'm sure I'm leaving some out. It is a fast sew, suitable for beginners, and will release on Thursday 5/26. Make sure you stalk my group to find out what the sale prices will be on this group of fun patterns for the perfect summer wardrobe, and enter the rafflecopter for a chance to win all 3 patterns!